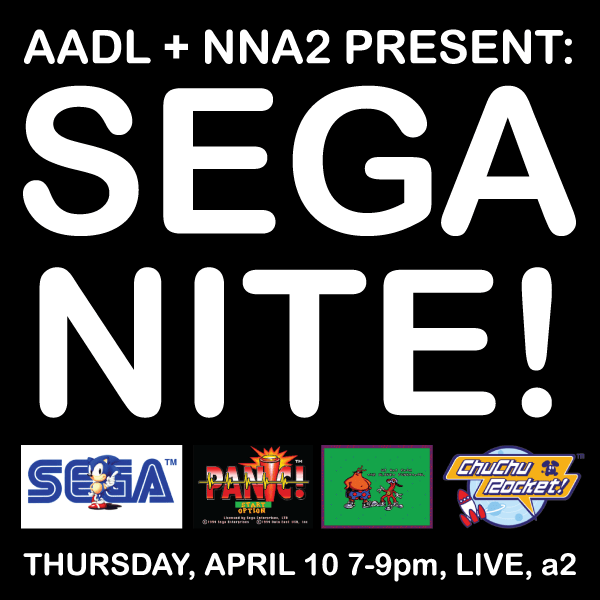 AADL + NNA2 present: Sega Nite! We are teaming up again to have a nite of Toejam & Earl, Sonic & Knuckles, or whatever your favorite Sega Genesis games are! Since AADL is sponsoring this event is is completely FREE of charge again! When: April 10th, 2013, 7pm! Moola: FREE! Thank you, Ann Arbor District Library!